It’s March and you know what that means: It’s time for Sock Madness! No, nothing to do with basketball. Socks. What do you mean that’s weird? It’s totally not. 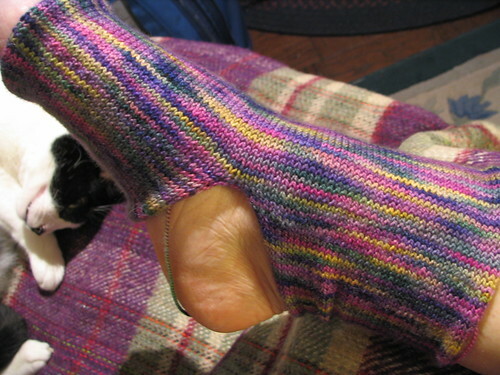 Sock Madness is the time of the year when sock knitters put their accumulated skills to the test. It’s a competition that combines speed, agility, humor (at oneself, at any rate), and accuracy. You have to digest the plays your coach gives you (in the form of patterns by their designers) and execute them without deviation. There are refs to rule on tricky questions and sticky situations.